Perhaps you’d like to be among the 100,000 people travelling to Trujillo, Spain this May to experience the wonderful tastes of hundreds of Spanish cheeses. Maybe you just want to chill out in the sea and party under the stars of Croatia to some of the best electronic DJs in the world. With so many wonderful festivals across the world throughout the year, it can sometimes be hard to determine which are an absolute must visit. 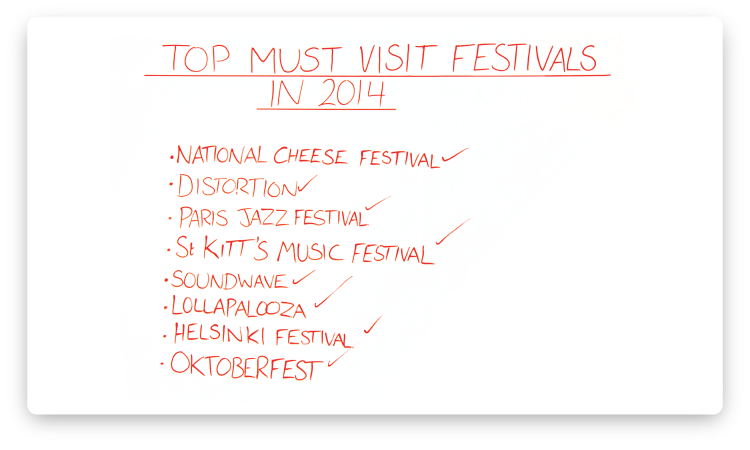 To make the selection process a little easier, we’ve put together a list of the top festivals in 2014. Want to experience over 500 types of cheese in Spain or party under the stars in Croatia? Look no further and check out our top festivals in 2014! Hi there and welcome to another episode of MyTravelMoneyTV. Today we’re going to guide you through the top festivals in 2014 from music to food you’re sure to find something of interest for your dose of festival spirit this year. More than 100,000 will flock to Trujillo in south west Spain this year which takes place 1st-5th May. Over 500 different types of Spanish cheese will be on display including the local speciality Torta del Casar. The six restaurants in the square will all offer traditional recipes featuring cheese from the local regions. If staying at one of the local villas, you’ll even be offered a bespoke tour of the festival with a local cheese expert! You’d never believe this started out as a one day festival celebrating club life back in 1998. Now it’s a mammoth street party invading different neighbourhoods of Copenhagen! The festival attracts top names from the club scene such as Simian Mobile Disco and Todd Terje. This year the festival will run from 4th-8th June and tickets will cost around 450 Danish Krone for a multi-day pass. 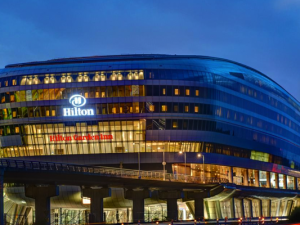 It may not be the biggest jazz festival in the world but it is certainly not one to miss! Hosting over 31 concerts during an 8 weekend span from june to july, this festival is one for all the family. Held at the Parc Floral de Paris and entrance ranging from free to 10 Euros, this is a pretty tame festival for those after something less extreme. Don’t forget, if you’re travelling through Europe, you can take advantage of the benefits of a Euro Prepaid Currency Card. Each year the St Kitts Music Festival combines music, Caribbean culture with world class performance from a variety of music genres. Past artists have included John Legend, Ne-Yo and Billy Ocean spanning genres from jazz, R&B, Reggae and Gospel music. This year the festival will take place from 26th-28th June. A truly intimate festival for people to come and dance, swim and relax together under the blue skies and sunshine of Croatia. Soundwave provides 5 full days and nights of music across boats, beaches and open air nightclub and has seen electronic artists Gold Panda perform in the past. Standard weekend passes are only £125 and the festival will run from 17th-21st July this year. Headlining big names from Kings of Leon, Arctic Monkeys and Calvin Harris, Lollapalooza in Chicago is the place to be this August. The 3-day festival will reach a capacity of 100,000 each day and see 130 bands and artists perform on eight stages. Single tickets are sold out but you can still get your hands on travel packages and platinum passes for those that prefer the VIP treatment at festivals. Travelling to the US to get in the festival spirit? Check out some of the great benefits of a US Dollar Prepaid Currency Card. Finland’s largest arts festival will once again provide a diverse programme of events throughout the city, with experiences ranging from classical to world music and pop, from drama to contemporary dance, and from visual art to film and children’s events. The Helsinki Festival will run from 15th-31st August this year. The Oktoberfest is held annually in Munich and is one of the most famous events and the world’s largest fair. 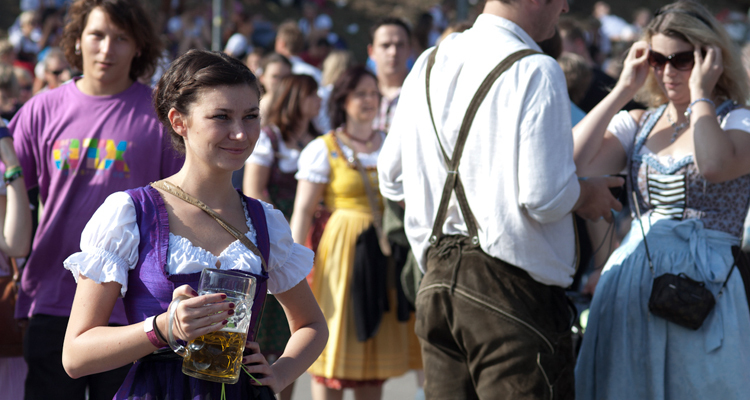 Some 6 million people attend each year and it’s a really big part of Bavarian culture. On September 20th this year, the Schottenhamel tent will be the place to be if you want to catch the official opening ceremonies. Oktoberfest is great for friends to get together, enjoy the beer and best of all, it’s completely free. 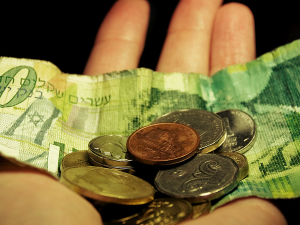 What are the best ways to carry money when travelling?